Lakota Language Consortium What is Being Done? of LLC, Lakota schools and tribes as well as government work to see what has been accomplished so far. The Lakota language preservation movement grows larger every year. That growing momentum cannot be attributed to LLC alone. The work of our partners in the tribes, the schools, and the government should also be recognized. The Lakota language is everybody's responsibility. LLC and its partners are working hard to prevent the deterioration of this beautiful national treasure. Selling T-Shirts for LLC's annual Lakota Summer Institute at Sitting Bull College. WHO IS WORKING TO SAVE LAKOTA? LLC is currently involved in many projects. LLC is hard at work on the Speak Lakota! Level 5 textbook and audio CD. LLC is also working to establish a summer language camp for Lakota youth and to establish a fund to help more teachers attend the Lakota Summer Institute. In addition, the Consortium is working with our sister organization, The Language Conservancy, and Florentine Films/Hott Productions to produce Rising Voices, a multi-platform documentary project that portrays the growing movement among tribes, particularly the Lakota, to revitalize their languages -- a movement for creative transformation by communities and individuals, which challenges the expectations put on them by outsiders and those put on young generations by the old. We are always working on new projects and developing new ideas at LLC. You can keep up with all the latest by subscribing to our newsletter. LLC is proud to work with numerous schools and educational institutions on language revitalization. LLC language materials are used by 32 schools and four pre-school / Headstart programs on five Lakota reservations and a number of off-reservation towns. 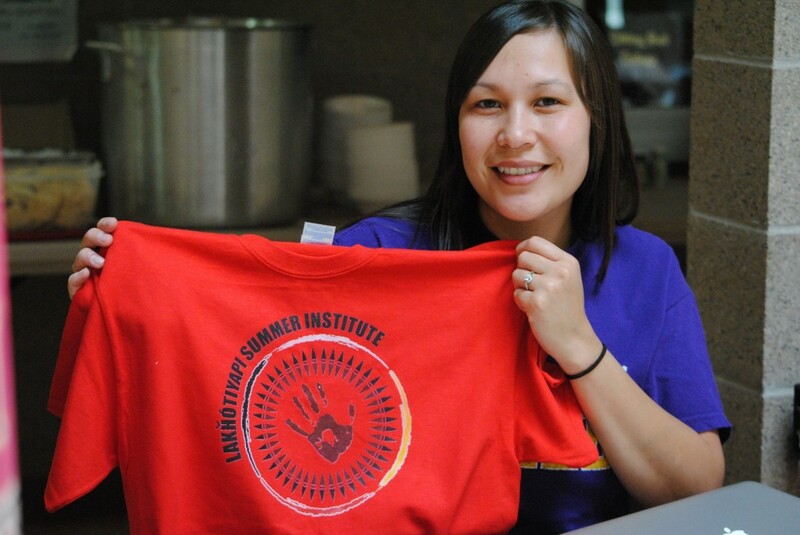 Together, we share a commitment to excellence in teaching and promoting the Lakota language. LLC has its roots in the dreams of tribal elders looking to save their native language. The Lakota tribes started working toward this goal in the 1990s. Their work was the impetus for the creation of LLC. LLC, tribal leaders and tribe members still work hand in hand to revitalize Lakota. One key to LLC's success thus far has been support and funding from government organizations. Our government partners include the Administration for Native Americans, the National Endowment for the Humanities, and the National Science Foundation.